This monument was physically built by members of the Walter Miller AMVETS Post #5 from Menomonee Falls in 1947. 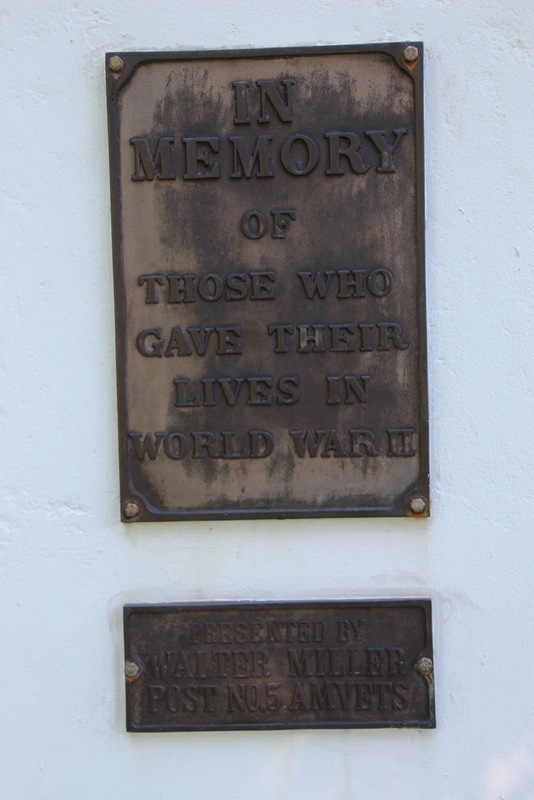 Walter Miller was the first soldier from Menomonee Falls to be killed in World War II. The monument was dedicated on July 4, 1947. The ceremony included an unveiling of the monument by Walter's parents. The monument was utilized for ceremonies throughout the years by the various veterans groups. The original bronze rifle/helmet sculpture was stolen in the early 1970s and never recovered. 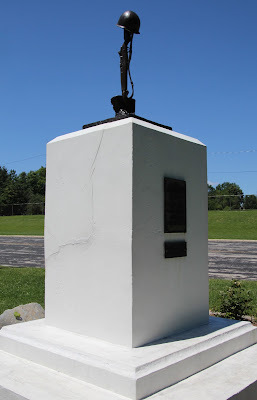 In 2010, the Village and AMVETS post partnered to have the base professionally restored and a new bronze sculpture added to the top. A granite marker was also added, telling the story of the monument and naming the builders of the monument. It was re-dedicated in October 2010 with the two remaining veterans who built the monument conducting the unveiling. Members of Walter Miller's family were also present. See also, War Dogs, also at this location.